Flask is well known as a low-configuration micro framework for web development with Python. But while there are countless examples of simple one-file applications exploiting this lack of bloat, there aren't many guidelines out there describing how to organize and structure larger projects. Demo code from the session can be found on Kanat's Github profile. FayettePy meets on the last Thursday of each month for social events and educational sessions on the Python ecosystem. 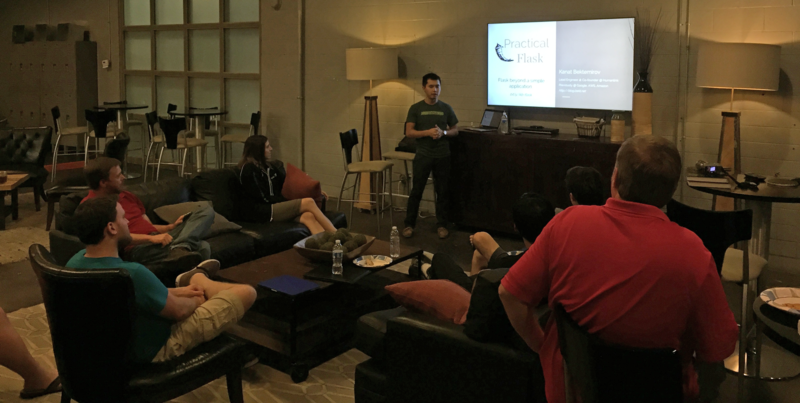 Join the FayettePy meetup group for updates on events and to meet local Northwest Arkansas Pythonistas!